The American Revolution occurred between 1775 and 1783. While this was the period of hostilities and combat with Britain, there is rich history in the American colonies prior to the start of the American Revolution and, as well, the remainder of American history until today. A brief history of the British hold in the American colonies begins in Europe with governments seeking trade routes to the Far East. Notably, Christopher Columbus, the Spanish explorer, set sail for the Orient, but due to prevailing winds, he instead landed on one of the Bahamian Islands in 1492 in the North American region now known as the Caribbean. 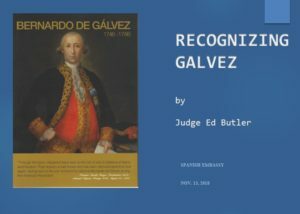 Seeing abundant natural resources and opportunities to cultivate wealth and subsequent power in the New World, he claimed the territory for Spain. The British, quite aware and apprehensive of Spain’s increased presence in the world, both with richness and the Catholic faith, engaged in the undeclared Anglo-Spanish War (1585-1604) to counter Spain’s attempts to conquer the British Empire. The British successfully defeated the Spanish naval fleet leaving Spain with limited access to Europe and the Americas. The British had already begun colonization of the Americas prior to Sir Walter Raleigh’s 1584 landing in Roanoke, VA. While Raleigh’s campaign was a complete failure with all colonists mysteriously lost, in 1607 the London Company relocated settlers to Jamestown, VA. Through unspeakable hardships, the Jamestown Colony survived as a British land hold. The account that follows is limited to the Revolutionary War itself. The American colonists had matured in the roughly 150 years since the Jamestown settlement. There were thirteen colonies (Fig. 1) with a population of over 2.5 million people in the decade of the Revolutionary War (1770s.) Like all that remains true today, they wanted religious freedom, they wanted to own land and to have the freedom to work for their wealth. And, importantly, they wanted freedom from Britain’s taxation without representation. The American colonists who rebelled against British control were known as Patriots or at times they were called Revolutionaries, Continentals, Rebels or American Whigs. By its very nature, a colony is a region of land that is under the control of another country. In North America, Britain was primary in establishing growth of the British Empire to counter the Spanish. Britain’s land control increased significantly as they were victorious in the French and Indian War (1754-1763.) The new territory extended from Florida to Canada then west to St. Louis and up the Mississippi River. (Fig. 2) With this abundance of land and resources and income opportunities, in 1765 Britain’s Parliament chose to enact the Stamp Act to tax the colonies. The collected money was to pay the costs for 10,000 troops to be stationed on the American frontier near the Appalachian Mountains to defend and protect the colonies. Note: The French and Indian War is the name given to the North American campaigns of the Seven Years’ War fought between 1754 and 1763. 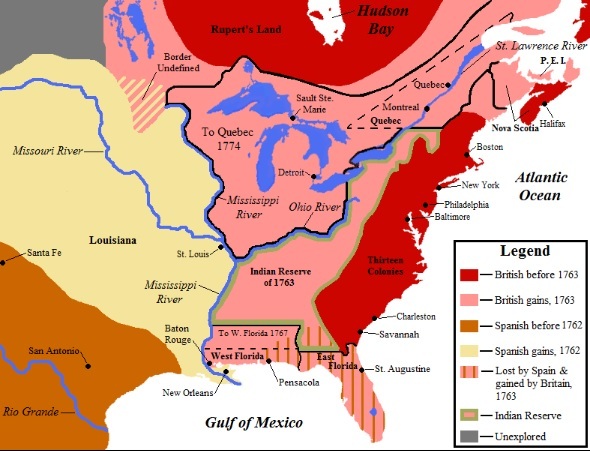 The French and Indian War was primarily between France and Britain, but involved alliances of 12 Native American tribes. The war devastated French colonial hopes in North America, while Britain’s attempt to ask American settlers to contribute towards war costs led to the American Revolution. The Stamp Act tax imposed on American colonists required them to pay a tax on every piece of printed paper they used. It required many printed materials to carry the embossed revenue stamp. Ship’s papers, legal documents, licenses, newspapers, other publications and even playing cards were taxed. The colonists viewed the tax as a direct attempt by England to raise money in the colonies without the approval of the colonial legislatures. The Act strained relations and after ten years, the colonists rose in rebellion against the British. “No taxation without representation” was the cry. In another action, The Tea Act, passed by the British Parliament in March 1773, granted the British East India Company a monopoly to sell tea in the American colonies. This direct sale of tea undercut the business of colonial merchants and outraged them to the point of being the “final straw” and catalyst for the start of the American Revolution. Nine months later in December 1773, three British ships arrived in Boston Harbor filled with tea. A group of colonial men, known as the Sons of Liberty*, disguised themselves as Mohawk Indians, boarded the ships and dumped 92,000 pounds of privately owned tea into Boston Harbor. Tensions between Britain and the colonies further escalated after the incident. In 1774, the British Parliament passed a series of laws collectively known as the Intolerable Acts, with the intent to suppress unrest in colonial Boston by closing the port and placing it under martial law. Other Acts consisted of the Massachusetts Government Act, the Administration of Justice Act, and the Quartering Act. The Acts were meant to reverse the trend of colonial resistance, but instead provoked higher levels of opposition. 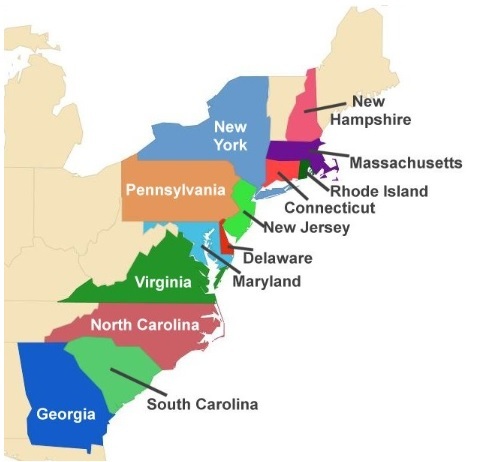 The colonists had a political structure in the form of the Continental Congress (1774-1781.) It was a convention of delegates from the Thirteen Colonies which became the governing body. At the First Continental Congress in Philadelphia, they addressed boycotting British goods and outlined plans to embargo goods if the Intolerable Acts were not repealed. Before the work of the Congress could be agreed upon and implemented, a standoff with the British in Massachusetts had begun. The British, looking to destroy the colonists’ stockpile of arms and gun powder, as well as to capture Samuel Adams and John Hancock, marched on Concord and Lexington, Massachusetts in what was the first Revolutionary War battle. It was here that Paul Revere gave his famous warning that “the British are coming.” While the British had hoped to confiscate colonial weapons, they ran into an untrained and angry militia. This ragtag army defeated 700 British soldiers and the surprise victory bolstered the colonists’ confidence in the war ahead. At the Second Continental Congress, spring 1775, again in Philadelphia, the delegates formed the Continental Army and dispatched George Washington to Massachusetts as its commander. France, too, played a key role in the American Revolutionary War. They were motivated by a long-term rivalry with Britain to avenge their territorial losses during the French and Indian War. France secretly began sending supplies to the Americans in 1775. In 1778, France recognized the United States of America as a sovereign nation, signed a military alliance, and went to war supporting the Americans. France provided the American Revolution with grants, weapons and loans, they sent a combat army to serve under George Washington, and provided a navy that prevented the second British army from escaping Yorktown in 1781. 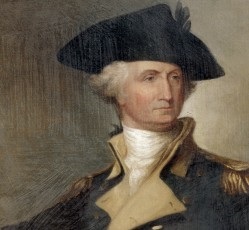 George Washington was the commander-in-chief of the Continental Army, reporting to the Second Continental Congress. 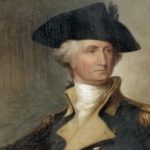 His activities, including command of the Main Army, direction of the overall war effort on behalf of the United States, and administration of the entire army, were overseen by the Board of War, established in June 1776. He held the rank of General during the war. 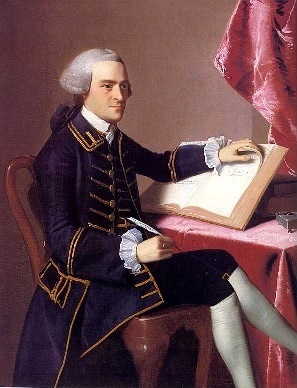 Samuel Adams was voted to the Massachusetts colonial legislature and vociferously opposed the Stamp Act of 1765. In 1773, Adams organized the Boston Tea Party in response to the Tea Tax imposed by the British crown. As British tea-ships waited for payments in Boston Harbor, Adams, and a band of men dressed up as Indians, boarded the ships, and dumped the tea into the harbor to the delight of spectators. In 1774, Adams became Massachusetts’ representative in the Continental Congress and signed the Declaration of Independencein 1776. 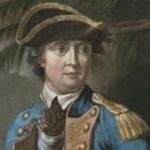 Benedict Arnold was a leading force in the early days of the war, participating in the 1775 capture of Fort Ticonderoga and the invasion of Quebec. 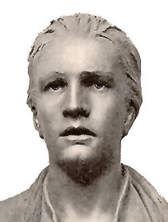 He played a crucial role in the 1777 Battles of Saratoga, in which he was severely wounded. In 1780, he acquired command of the Highlands Department with the intent of surrendering West Point to the British. The plot was uncovered and he fled to join the British, whom he served for until the end of 1781 as a brigadier general. Benjamin Franklin supported colonists who were outraged at the British passage of the Stamp Act which forced Americans to pay taxes on any sort of printed document. 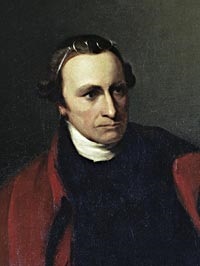 Franklin helped persuade British Parliament to repeal the act, but grew wary of the corruption he saw among political officials in England. He began to formulate a plan for the united colonies. He was elected a member of the Continental Congress and helped Thomas Jefferson draft the Declaration of Independence. After he signed the Declaration of Independence, Franklin set sail for France as America’s ambassador. Franklin’s charm and persuasion were successful in convincing the French to sign the 1778 Treaty of Alliance, which asserted France’s intention to aid the colonies in their quest for independence, and secure loans for military supplies. In 1783, Franklin attended the signing of the Treaty of Paris, which ended the Revolutionary War. 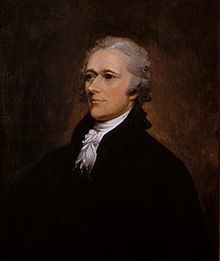 Alexander Hamilton was originally a member of Washington’s staff and served as a Lieutenant Colonel until he resigned his commission after being reprimanded by Washington. Shortly before the Battle of Yorktown, Washington changed his mind and gave Hamilton his commission as a Major General. Hamilton only held the rank for the Battle of Yorktown and resigned shortly afterward. 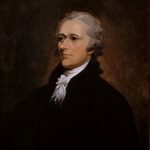 Many people think that he did this for his wife, who was pregnant at the time with their first child and because he wanted to have a larger say in the Congress of the Confederation when it convened in 1782. John Hancock was elected to the office of Boston Selectman. In 1765, he quickly joined Samuel Adams and the Sons of Liberty and became a strong opponent of the Stamp Act. Later, he gained the reputation as a strong advocate of American independence. 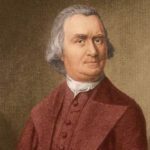 In 1774, he was elected president of the Massachusetts Provincial Congress, a new Massachusetts legislature which had the authority to call for troops in the wake of a British threat. The British subsequently charged Hancock with treason. In 1775, British troops would march to Lexington with orders to capture John Hancock. It was during this march that the first shots of the American Revolution were fired. John, along with Samuel Adams, ultimately escaped. Later in 1775, John was appointed president of the Second Continental Congress. 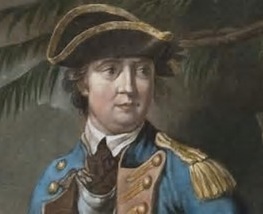 It was John Hancock who commissioned George Washington as commander-in-chief of the Continental Army. 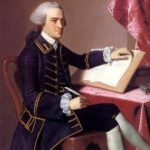 On July 4, 1776, John Hancock became the first American to sign the Declaration of Independence. 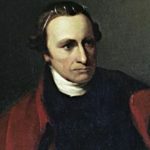 Patrick Henry argued against the King of England in 1763 defending the right of the colony to fix the price of tobacco in which the clergy were paid. When clergymen complained to the king, the ruling was nullified. Henry argued that any king who would veto a law implemented by a locally elected council is not a father to the people but a tyrant undeserving of the allegiance of his subjects. Henry was equally as vociferous in his opposition of the 1765 Stamp Act. He asserted that colonists, as Englishmen, have the exclusive right to tax themselves. Henry became a powerful voice in the quest for American independence and advocated the arming of civilians. 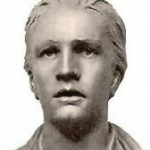 His famous words “Give me liberty or give me death”, spoke for a generation of Americans ready to rebel against England. 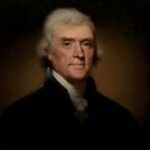 Thomas Jefferson is considered one of the Founding Fathers of the United States of America for the central role he played in drafting the Declaration of Independence. 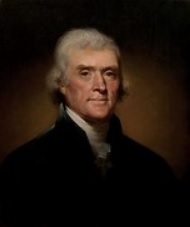 Jefferson helped to found the Virginia Committee of Correspondence in 1773. 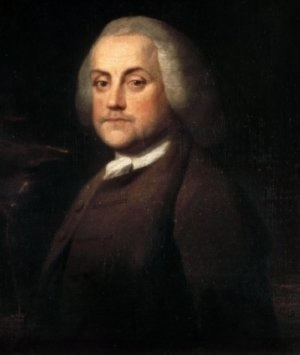 He went on to make one of the most eloquent arguments against Parliament’s authority over the colonies, asserting that the colonists were only united with England through their voluntary allegiance to the king. Jefferson was a delegate to the Second Continental Congress from 1775 to 1776, when he drafted the Declaration of Independence. 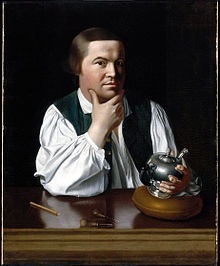 Paul Revere was the messenger sent by horseback to deliver a secret message to the colonial militia. On April 7, 1775, British soldiers began moving toward Concord where a large supply of Patriot arms was being stored. 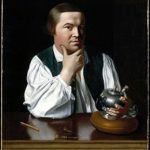 Paul Revere rode to warn the Provincial Congress of Massachusetts of the British troop movements. Soon after Revere’s warning was received, the citizens of Concord began quickly moving the Patriot militia supplies to a safer location. 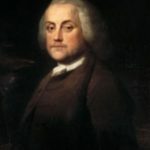 It had been the intent of the British troops to destroy arms and capture two leaders of the Sons of Liberty, John Hancock and Samuel Adams. Revere’s warning message was said to be “The British are coming… The British are coming.” In reality, Revere likely never shouted such words because his mission was secret. He more likely warned “The Regulars are coming out…” according to his own recollection. Other Patriots: The list of participating patriots is vast. 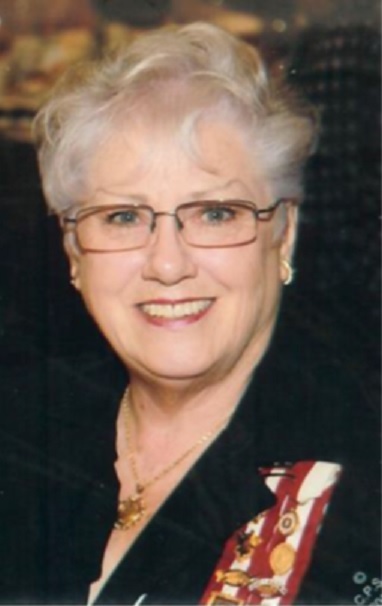 The Internet is a recommended resource for reading about the contributions of many, many others to include Nathanael Greene, Henry Knox, John Paul Jones, Marquis de Lafayette, Francis Marion, Saul Matthews, Thomas Paine, Molly Pitcher and Betsy Ross. In all, there were over 231,000 patriots in the Continental Army. Other Participants in the American Revolution: France, we know, was supporting and supplying the colonists as early at 1775. Two other foreign countries played a role in the war as well. Spain sided with the American colonists while Germany was an ally of Britain. 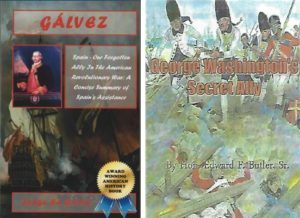 Similar to France, Spain became involved in the American Revolution as a means to fight British imperialism and recoup some Spanish pride after the Seven Years’ War and their naval defeat off the English shores. By the eighteenth century, Spain was facing an uphill battle to try to regain its status as a world superpower. Unfortunately, defeat in the Seven Years’ War did nothing to help that cause. The loss of Florida following the war, and the declining profitability of Spanish colonies in the Caribbean, meant that Spanish influence in North America was starting to disappear. A Spain-fueled American victory in the Revolutionary War would help reverse that trend. In particular, Spain sought to recapture many of her Floridian ports and forts that she lost to the British in 1763. Germany did not become a united nation until 1871. Lack of a unified German state made it difficult for the German people to exert much international influence in an era dominated politically by the nation-state. What “Germany” lacked in political power, however, it made up for with a well-trained military populace. The greatest German contribution to the American Revolution came in the form of hired mercenaries on the side of the British, often referred to as Hessians. German Hessians made up anywhere between a fourth and a third of Britain’s land forces. The heavy use of such troops, however, only further served to anger many Americans and actually drew some previously British supporters to the colonists’ side. By using Hessian mercenaries, the British treated the American colonies just as they would any indigenous or non-white population—which at this time was a grave insult to the Americans. As in any conflict, there is difficulty in identifying and classifying a military engagement. Some are declared battles, others are sieges and others may be called a skirmish or encounter. 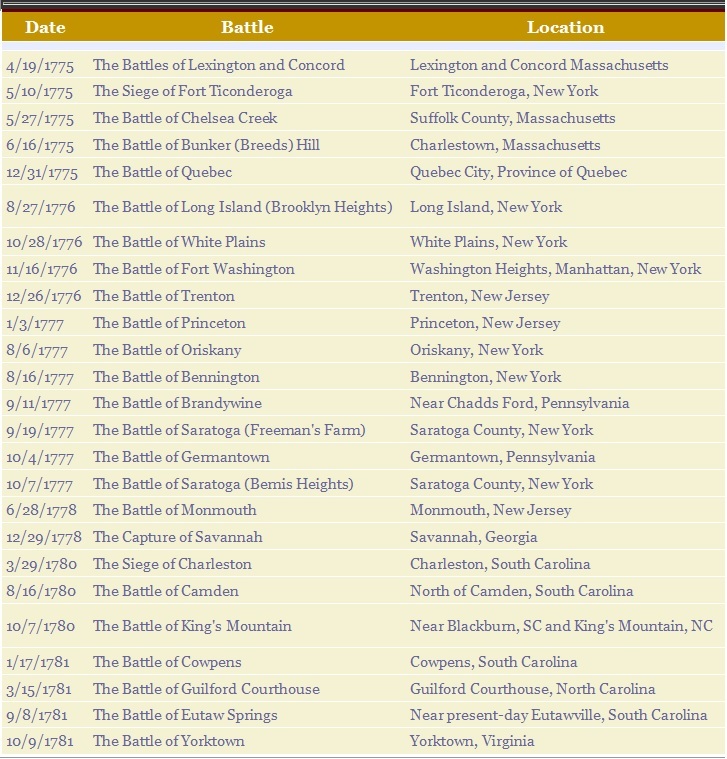 The information in Table 1 is provided as an overview of some major events. A closer look at the military actions in Table 1 is best reserved for Internet research as well as books and lectures on the American Revolution. There is some agreement among historians that there were certain decisive battles that influenced the outcome of the war. 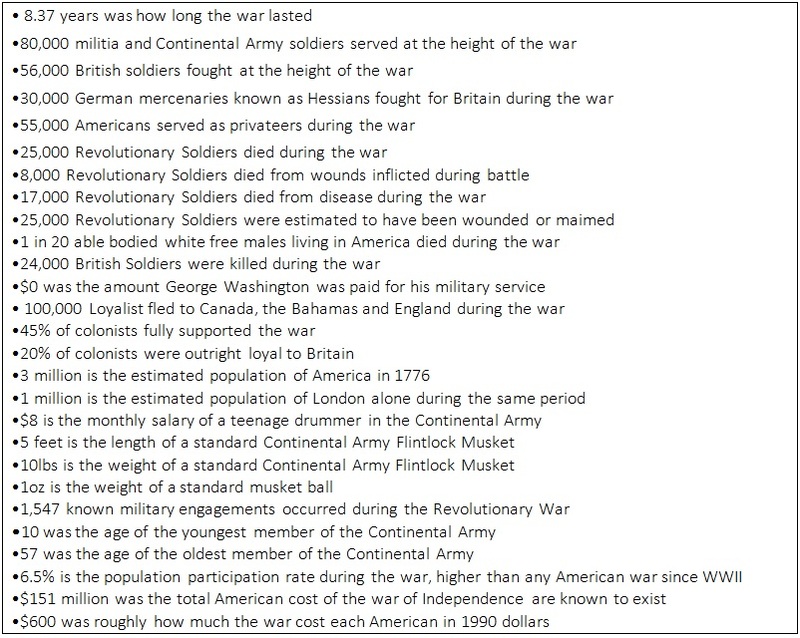 Below are ten of what many consider the most important such events. Massachusetts — April 19, 1775 Battles of Lexington and Concord: The Battles of Lexington and Concord kicked off the American Revolutionary War. Tensions had been building for many years between residents of the thirteen American colonies and the British authorities, particularly in Massachusetts. 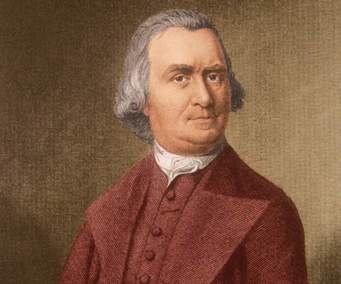 On the night of April 18, 1775, hundreds of British troops marched from Boston to nearby Concord in order to seize an arms cache and arrest Samuel Adams and Paul Revere. Paul Revere and other riders sounded the alarm, and colonial militiamen began mobilizing to intercept the Redcoat column. At dawn, 700 British troops arrived in Lexington and came upon 77 militiamen gathered on the town green. A British major yelled, “Throw down your arms! Ye villains, ye rebels.” The heavily outnumbered militiamen had just been ordered by their commander to disperse when a shot rang out. To this day, no one knows which side fired first. The British then continued into Concord to search for arms, not realizing that the vast majority had already been relocated. They decided to burn what little they found, and the fire got slightly out of control. Hundreds of militiamen occupying the high ground outside of Concord incorrectly thought the whole town would be torched. The militiamen hustled to Concord’s North Bridge, which was being defended by a contingent of British soldiers. The British fired first but fell back when the colonists returned the volley. 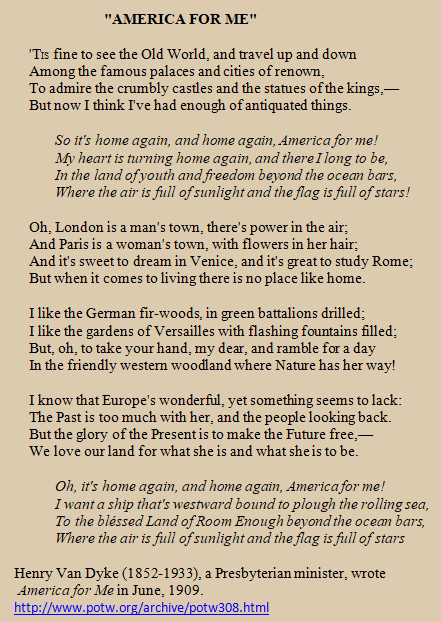 This was the “shot heard ‘round the world” later immortalized by poet Ralph Waldo Emerson. When the British column reached Lexington, it ran into an entire brigade of fresh Redcoats that had answered a call for reinforcements. But that did not stop the colonists from resuming their attack. The British, for their part, tried to keep the colonists at bay with flanking parties and canon fire. In the evening a contingent of newly arrived minutemen purportedly had a chance to cut off the Redcoats. Instead, their commander ordered them not to attack, and the British were able to reach the safety of Charlestown Neck, where they had naval support. The colonists did not show great marksmanship that day. Nevertheless, they proved they could stand up to one of the most powerful armies in the world. News of the battle quickly spread, reaching London on May 28. By the following summer, a full-scale war of independence had broken out. Massachusetts — June 17, 1775 Battle of Bunker Hill: The British defeated the Americans at the Battle of Bunker Hill in Massachusetts. Despite their loss, the inexperienced colonial forces inflicted significant casualties against the enemy. Although commonly referred to as the Battle of Bunker Hill, most of the fighting occurred on nearby Breed’s Hill. The colonists, having learned the British were planning to send troops from Boston to occupy the hills surrounding the city, gathered 1,000 colonial militiamen to build earthen fortifications on top of Breed’s Hill. As the British advanced in columns, the Americans’ limited their use of ammunition and were reportedly told, “Don’t fire until you see the whites of their eyes!” When the Redcoats were within several dozen yards, the Americans let loose with a lethal barrage of musket fire, throwing the British into retreat. The British re-formed their lines and attacked again, this time, forcing the Americans to retreat. Canada — December 31, 1775 Battle of Quebec: The Battle of Quebec was a military conflict between Great Britain and its thirteen colonies in North America. The battle took place in the Province of Quebec on Sunday, December 31, 1775. The leaders of the Continental Congress believed that the Canadians would not fight the British and hopes were high that the town of Quebec might surrender without much of a fight. On August 27, 1775 a small colonial army set out to capture Montreal and then to march on to Quebec. Then, on September 13, a cadre of 1,000 volunteers marched north. They suffered a terrible journey with freezing weather, difficult terrain, snowstorms, short supplies and various illnesses, nearly half the men perished on the journey. The Quebec garrison had been warned the colonial army was coming. The town’s blockade repelled the American forces. There were severe losses. The defeated Americans were forced to surrender. South Carolina — June 1776 Battle of Charleston: The siege of Charleston was a decisive success for the British as they shifted their strategy to focus on the southern theater. Capture of the city and its harbor gave them a vital base from which to conduct operations in their attempt to rally the support of American Loyalists and reconquer the southern states. Conversely, the loss of Charleston was a painful blow to the American cause, made even worse by the capture of over 2,500 Continentals and numerous vital weapons and supplies. The results of the British victory were decisive. The British had captured the largest city and best harbor in the south. Their success seemed to rally much of South Carolina’s population to the Loyalist side. General Washington and the Americans struggled to find an effective way to counter these setbacks, and it would take over a year of bitter partisan warfare and hard campaigning to thwart the British campaign in the south. New Jersey — December 26, 1776 The Battle of Trenton: The battles were a small but of pivotal importance during the Revolutionary War. They took place on the morning December 26, 1776, in New Jersey after General George Washington’s crossing of the Delaware River north of Trenton the previous night. Washington led the main body of the Continental Army against enemy soldiers garrisoned at Trenton. After a brief battle, almost all of the opposing force was captured. The Continental Army had previously suffered several defeats in New York and had been forced to retreat through New Jersey to Pennsylvania. To regain a stronghold, General Washington devised a plan to cross the Delaware River on the night of December 25–26 and surround the opposing garrison. Because the river was icy and the weather severe, the crossing proved dangerous. Two detachments were unable to cross the river, leaving Washington with only 2,400 men under his command in the assault. Washington’s army marched nine miles south to Trenton. The enemy had lowered their guard, thinking they were safe from the American army, and they had no long-distance outposts or patrols. Washington’s forces caught them off guard and, after a short but fierce resistance, most of the enemy surrendered. The American victory inspired colonist to serve longer and attracted new recruits. NEW YORK — OCTOBER 1777 Battles of Saratoga: In the fall of 1777, the two Battles of Saratoga were a turning point in the American Revolution. On September 19th, British General John Burgoyne achieved a small, but costly victory over American forces. Though his troop strength had been weakened, Burgoyne again attacked the Americans at Bemis Heights on October 7th, but this time was defeated and forced to retreat. He surrendered ten days later, and the American victory convinced the French government to formally recognize the colonist’s cause and enter the war as their ally. RHODE ISLAND — AUGUST 9, 1778 Battle of Rhode Island: The Battle of Rhode Island began when 11,000 Continental troops and militia crossed Howland’s Ferry to reinforce state militia in preparation for an attack on the British in that state. Meanwhile, the French fleet blocked the small naval force in Narragansett Bay. When the larger British fleet arrived to challenge the French, they prepared to do battle, but a hurricane scattered the ships and severely damaged both fleets. The French sailed to Boston for repairs, leaving the Americans without naval back-up or the anticipated French landing troops. The Americans attempted to withdraw, but the British troops attacked on August 29. After a twelve-day siege, the Americans realized they could not penetrate the British lines without naval back-up from the French. They were forced to withdraw, leaving the British in place. NORTH CAROLINA — OCTOBER 7, 1780 Battle of King’s Mountain: Thomas Jefferson called it “The turn of the tide of success.” The battle of King’s Mountain was the first major patriot victory to occur after the British invasion of Charleston, South Carolina. This decisive battle successfully ended the British invasion into North Carolina and forced Lord Cornwallis to retreat from Charlotte into South Carolina to wait for reinforcements. It was a triumphant win for the American army. Many historians agree the Battle of King’s Mountain was the “beginning of the end” of British rule in its former colonies. In less than one hour of battle, the victory undermined the British strategy for keeping America under its control. South Carolina – January 17, 1781 Cowpens: The Battle of Cowpens was the turning point of the Revolutionary War in the southern colonies. It took place on January 17, 1781 in the hills just north of the town of Cowpens, South Carolina. The Continental Army defeated the British in a decisive victory that lasted less than an hour, but had a huge impact on the war. The victory forced the British army to retreat and gave the Americans confidence they could win the war. Virginia – October 1781 Battle of Yorktown: When General George Washington learned that British General Charles Cornwallis and his army were camped in Yorktown, Virginia, awaiting supplies, he marched south with an army of almost 9,000 Americans and 8,000 Frenchmen. At the same time, French Rear Admiral Comte de Grasse sailed north from the Caribbean with a French fleet, blockading the British navy from resupplying Cornwallis. The American and French force besieged Yorktown, constantly bombarding the British with artillery fire and digging trenches closer and closer to the encircled army. The British held out for three weeks before surrendering to Washington in October 1781. With the American victory, the surrender ended the war and the process began to formally separate the American colonists from the British Empire. When we celebrate the 4th of July, take a moment to reflect on the enormous cost, in lives and treasure, that it took us to earn American independence. Table 2 is presented as a quick look at some of these expenditures. The Treaty of Paris of 1783, negotiated between the United States and Great Britain, ended the revolutionary war and recognized American independence. The preliminary articles of peace were signed by John Adams, Benjamin Franklin, John Jay and Henry Laurens for the United States and Richard Oswald for Great Britain on November 30, 1782. The final treaty was signed on September 3, 1783 and ratified by the Continental Congress early in 1784. Adams, James Truslow (1931). The Epic of America. New York City, NY: Blue Ribbon Books, Inc.
Robert H. (1959). American Diplomacy. New York: W.W.Norton & Co., Inc.